The Gautier XO Pinar Del Rio Cigar Cognac is named after the Cuban valley where the best tobacco leaves are harvested. 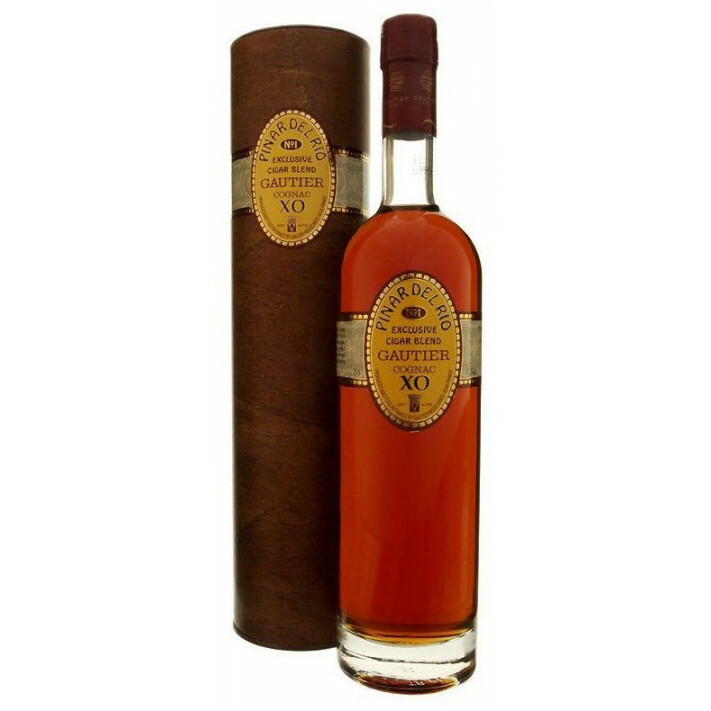 It's an XO Cognac crafted from the eaux-de-vie in the Paradise Cellar of Maison Gautier especially for cigar affcionados. It enables connoisseurs to hold all the aromas of the Cognac in the mouth while allowing you to respect the character of each cigar. not the greatest nose, but one of the best palates! This coganc is supposed to go well with cigars.. is it that why it's so sweet? It tates like soap, I almost had to (sorry guys at Gautier) vomit. I am not drinking this one again, and the price of almost 90 € is not justified. I think Gautier used to make better blends back in the days..